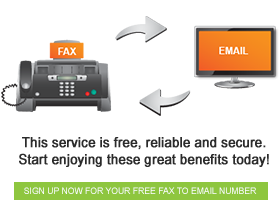 Becoming a FaxFX fax-to-email reseller can have great benefits and anyone is able to become a reseller. Over the years we have been offering individuals and businesses the opportunity to partner with us and make money. We still offer this opportunity even today and the industry has grown and advanced more over the years. In order to become a reseller you must log on to our site and sign up for a free reseller account by filling out our application form. From there, you must contact our support agents to help you get started. This is a legitimate business partnership and recommend that you join and take advantage of the opportunity. The good thing about this industry is that it is a formal and established industry. The market is aware of the product and are actively seeking fax-to-email services. We will provide you with the training you need to start operating at the reasonable fee of R2500, which includes VAT. The administration fee is also included in the administration fee. If you complete the training successfully within thirty days of partnering with us, we will give you a refund of R1250. With that you receive branded email templates and a branded sign up page. You can also add a button to your existing website as an alternative. We will also give you access to our administrative agents interface. With that you will also receive a sales and marketing material pack to help you market the product even better. Contact our support team to find out how this has been benefitting more and more people throughout the years.